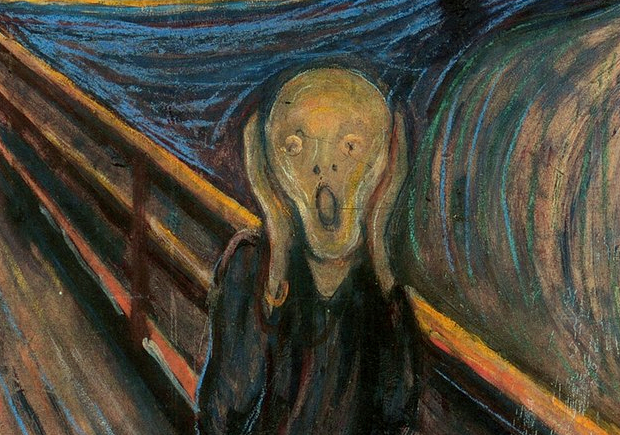 Returning now for one last moment to Munch's painting, it seems evident that The Scream subtly but elaborately disconnects its own aesthetic of expression, all the while remaining imprisoned within it. Its gestural content already underscores its own failure, since the realm of the sonorous, the cry, the raw vibrations of the human throat, are incompatible with its medium (something underscored within the work by the homunculus's lack of ears). Yet the absent scream returns, as it were, in a dialectic of loops and spirals, circling ever more closely toward that even more absent experience of atrocious solitude and anxiety which the scream was itself to "express." Such loops inscribe themselves on the painted surface in the form of those great concentric circles in which sonorous vibration becomes ultimately visible, as on the surface of a sheet of water, in an infinite regress which fans out from the sufferer to become the very geography of a universe in which pain itself now speaks and vibrates through the material sunset and landscape. The visible world now becomes the wall of the monad on which this "scream running through nature" ( Munch's words) 5 is recorded and transcribed: one thinks of that character of Lautréamont who, growing up inside a sealed and silent membrane, ruptures it with his own scream on catching sight of the monstrousness of the deity and thereby rejoins the world of sound and suffering. 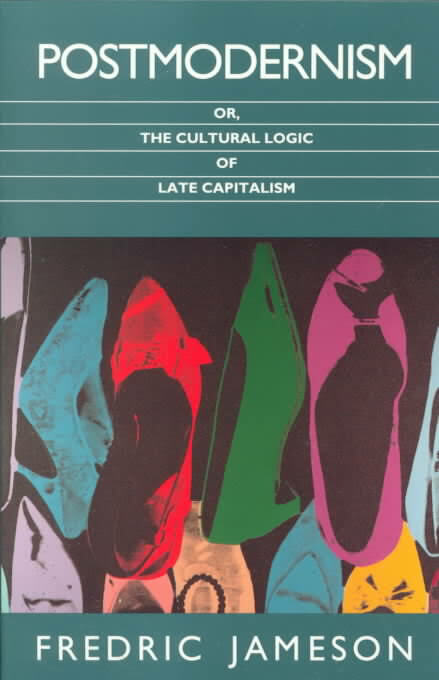 All of which suggests some more general historical hypothesis: namely, that concepts such as anxiety and alienation (and the experiences to which they correspond, as in The Scream) are no longer appropriate in the world of the postmodern.